Every rental property owner should know that owning and operating a rental home is a big investment. 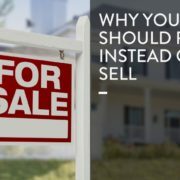 It’s not for everyone, and that’s ok. Of course a lot of landlords will earn extra monthly income and build their equity, but it’s important to note that not every landlord who sets out to be successful actually becomes so. Among the Dallas real estate management companies out there who provide property management services in Dallas, Specialized Property Management is the only one who will encourage you to have realistic expectations about this business. Being a rental property owner means putting money into your investment. Are You Financially Able to Be a Landlord? Look at your regular income, assets, and stocks and bonds. Ask yourself if you’re in a good position to own a rental property. If a tenant doesn’t pay the rent for a few months in a row, will you have to sacrifice some comforts? Think about your current lifestyle and whether operating a rental property will alter it. Decide what’s best for you and your family before purchasing a home to lease. Yes, there’s a possibility that your first tenant will do everything right and you’ll make a lot of money. But there’s also the chance that your tenant won’t pay rent on time, will neglect the home, or move out unexpectedly. You could have a golden tenant but also have a lot of unforeseen major maintenance issues happen right away. Have a plan in mind for all the best and worst case scenarios. 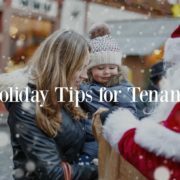 Other Dallas real estate management companies will tell you that if you just collect that rent check every month, your tenant will pay off your mortgage. At Specialized Property Management, we want you to remember that 10-25% of the annual rent you collect should go toward the upkeep of the property. Those landlords who try to self-manage forget about the hidden costs that come along with longer vacancies, procrastinated maintenance, code violations, and poor tenant selection. Trust the professionals at Specialized Property Management to manage your property for you. You’ll be glad you did. Why Efficient Maintenance is Important for Dallas Property Managers When You Put Your Property into Inexperienced Hands, You Will Regret It!